Today for Lhakar we celebrated Inji Halloween (Tibetan activist style). 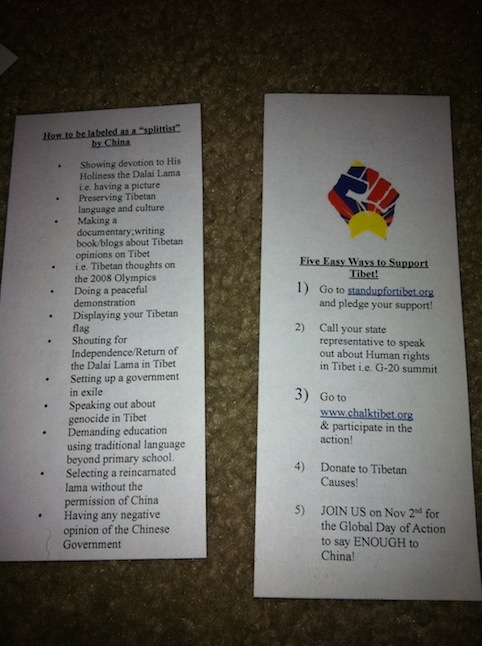 With the small donation from some Tibetans we decided to make candy bags with information about Tibet. RANGZEN CANDIES! 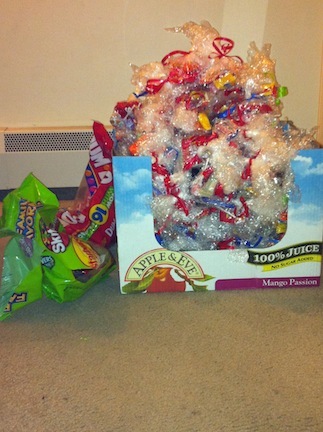 Here’s our finished bag of candies! 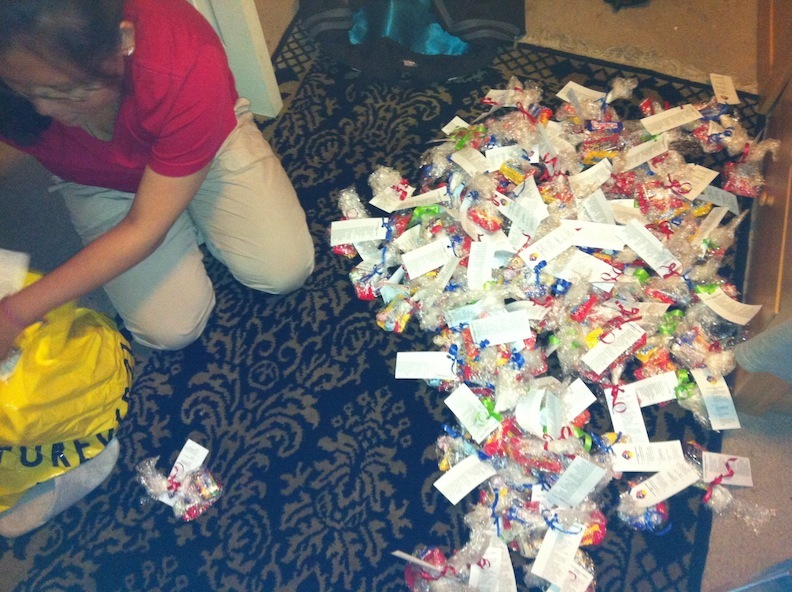 134 bags! PHEW! We attached this back to back info to each candy bag! 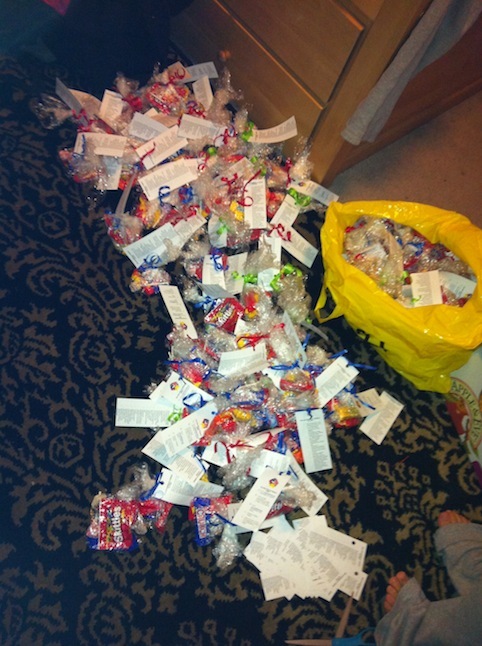 We finally finished placing the tags on the candy and started packing them up for Wednesday/Lhakar. Oh we were ready! Ready to hand out some candies! RANGZEN Candies! Although these candies weren’t nutritionally, they were packed with Knowledge and we all know which is more important. Obviously KNOWLEDGE! 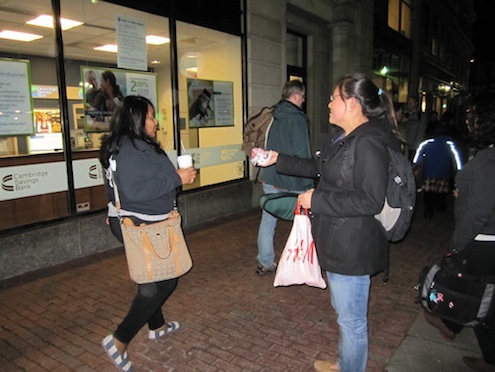 Here’s us starting our candy give away. Oh REJECTED! Thats gotta hurt. 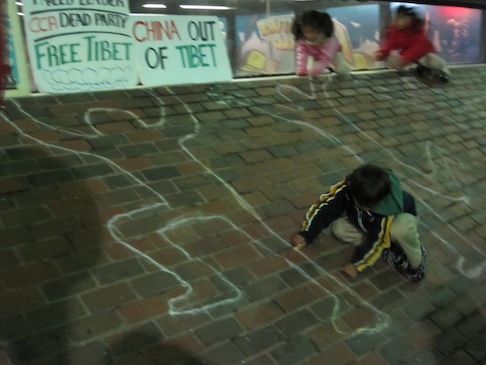 At the end of Boston Vigil, I caught these kids retracing the ChalkTibet stuff because it was starting to fade. No we didn’t force these kids! 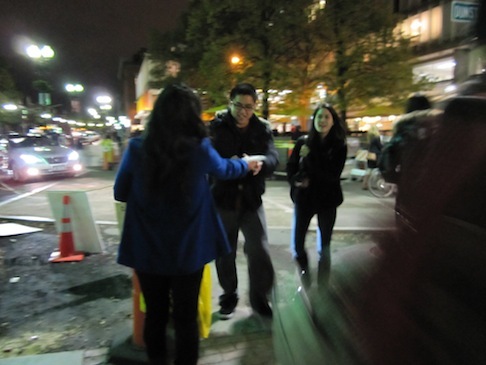 So we ended the night with all our bags of Rangzen candies gone and the next generation learning the ropes of exile Tibetan tradition (activism)! It was a good day! Very imaginative! maybe some Ingee Valentine candies in the future?